Microsoft’s HoloLens project is becoming more and more powerful. Its latest update brings a ton of new features and improvements, lets users run multiple flat apps, and introduces new voice commands. HoloLens also dives deeper into the business productivity world, offering support for Outlook Mail and Calendar apps. 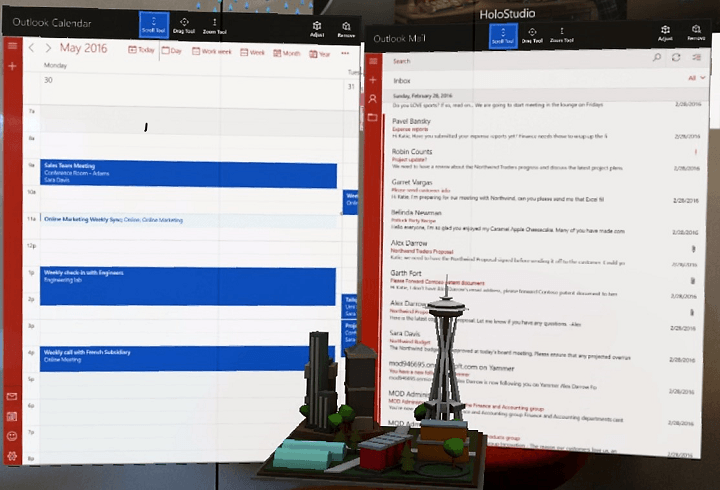 HoloLens allows users to place their inbox on the office wall to remain connected to emails while interacting with other digital content in the real world. The app will also show you scheduled activities for the next day on the same wall calendar. In this manner, you will never be caught off guard and won’t forget that appointment at 4PM. Microsoft managed to roll out HoloLens support for Outlook Mail and Calendar apps thanks to the Universal Windows Platform. 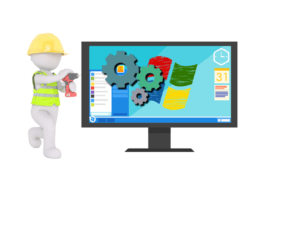 Office support on HoloLens has been offered since build 2016, making it easy for Microsoft’s developers to deliver a familiar Outlook experience to Windows 10 PCs, tablets and phones users. To get the Outlook Mail and Calendar Apps on HoloLens, open the Windows Store on HoloLens and search for Outlook Mail and Calendar. Click “Free” and follow the necessary steps for installation. This release is just the beginning, and we’re excited about the opportunities that HoloLens presents to build new and powerful ways of staying connected, productive and on top of your schedule. We are far from done innovating in mixed reality and would love to hear your feedback […]. The HoloLens project is indeed impressive with applications in various fields. Microsoft’s technology is even helping NASA traverse Mars, the kind of usage that opens the door for this device to become the future of computing.